Alsager & District Food Bank | "For the Community by the Community"
"For the Community by the Community"
A massive THANKYOU to all who have donated or continue to donate to the food bank, the support from the people of Alsager & the surrounding area has been overwhelming! Alsager & District Foodbank provides emergency food and support to the local community of Alsager, Rode Heath, Oakhanger , Church Lawton and Scholar Green. We work with front line services using a referral system, to provide emergency meals for people in times of crisis. 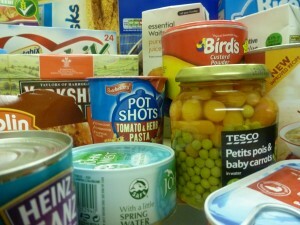 We are always in need of food donations. These donations can be dropped off at any of the donation collection points which are listed below and an example list of food that we require can be found in the food donations section of the website.